We strive to build a strong relationship with all our care homes to ensure residents medications are ordered in a timely fashion, supplied in a format to help with medicines management at the home and delivered at a suitable time for your care support team. At Badham’s, we can offer a tailor-made support package for all care homes and residential nursing homes through our pharmacies. We are exceptionally proud of the services we provide to our care homes. We can assist the care home team with many aspects of medicines management. 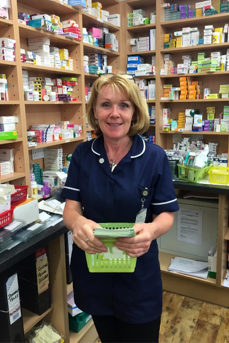 This includes liaising with the GPs regarding regular medicine prescriptions, manufacturing the medication into a desired medication supply system if desired, production of an administration record sheet for the nursing staff, delivering medication at a suitable time to ensure the home has a continuum of medicines and safe removal of any unused or no longer needed medication. In addition we also provide a 24/7/365 service for any urgent medicines that are prescribed out of hours. Furthermore, we can be booked to come to the care home to deliver medicines training for the staff and speak to the residents about their medicines if needed. Our care home services ensure residents always have their medicines safely dispensed and ready for when they are needed. The advice and training support we provide enables care home staff and residents to be more informed about medicines to meet and exceed care quality requirements.